A.I. Drives 300% More Conversions and Sales! Totally New For 2018 and Beyond! “Test Drive” our new A.I. Contact System. Using IBM Watson™ and Amazon Alexa™ Speech and Cognitive Analytics technology, we can replace humans with our virtual assistants and put them to work for you. Your new A.I. 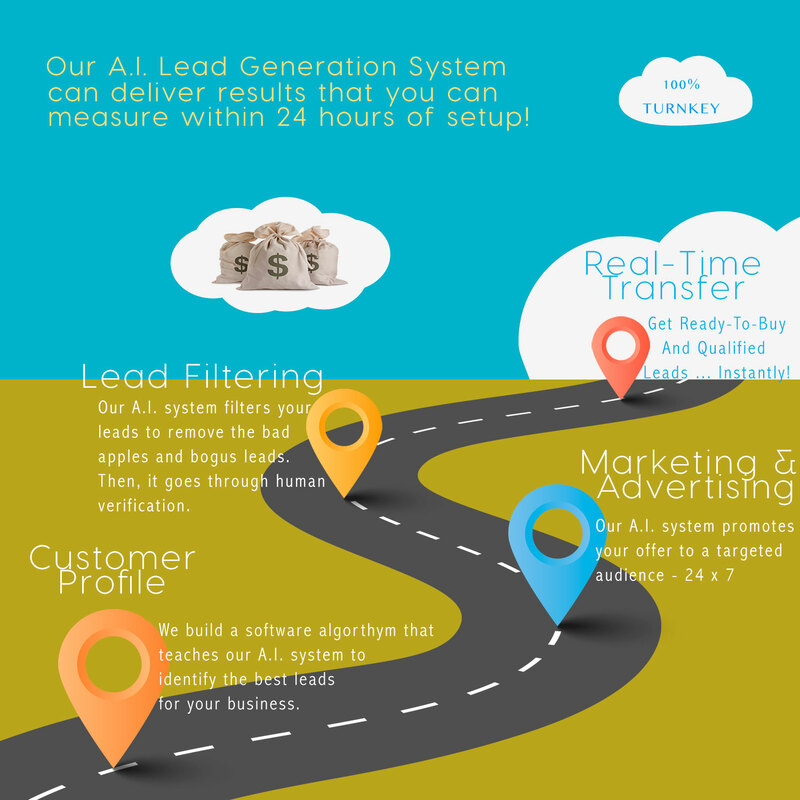 Traffic and Lead Generation system can build your business virtually hands-free! Traditional Lead Generation, cold calling, traditional Opt-in methods, are not as effective as they should be. With the ever-increasing number of mobile devices and the presence of Virtual Assistants by Apple™, Google™, Amazon™ and Microsoft™, don’t be left behind by ignoring the effectiveness of this technology. Just complete the form below to get a Free Test Drive of your personalized army of Custom A.I. assistants. Once you try it, you’ll NEVER go back to traditional Lead and Traffic Generation methods … Guaranteed!